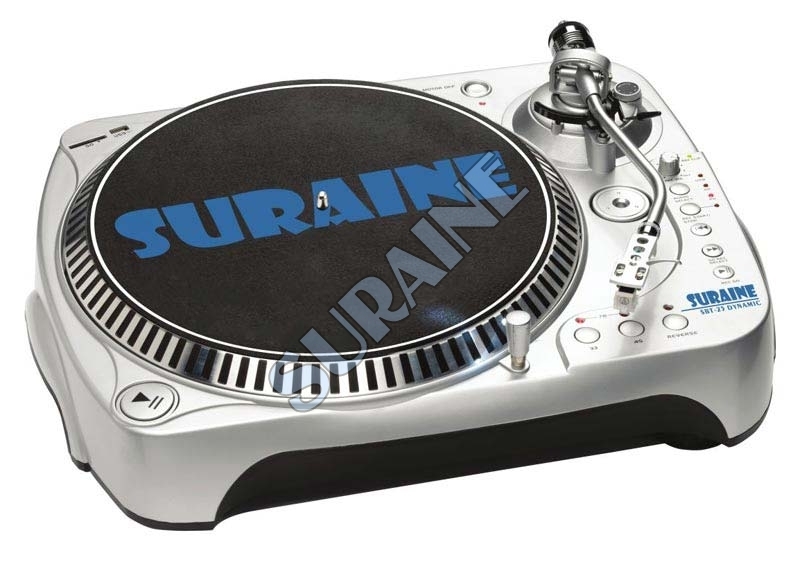 Suraine Records is the foremost Manufacturer & Supplier of Turntable Player (SBT-25 DYNAMIC). 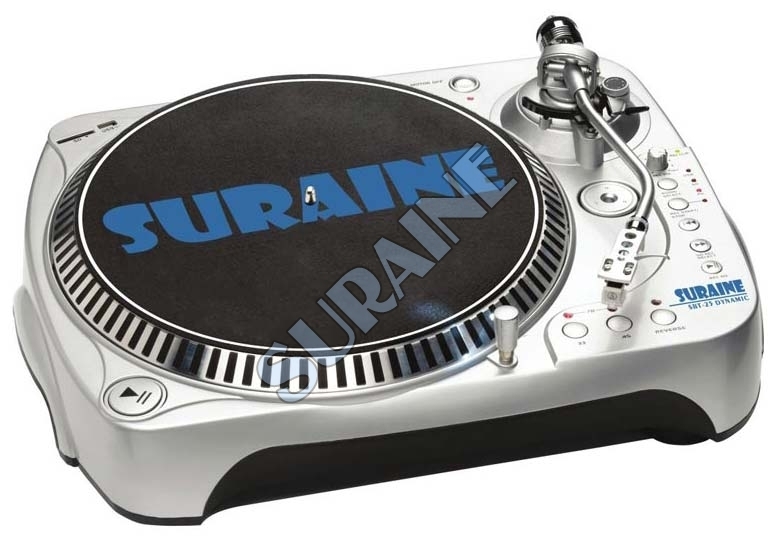 Meant for manual operation, our Turntable Player comes with slip mat and die cast aluminum platter. 33, 45 and 78 R.P.M. (Electronic control), reverse play. 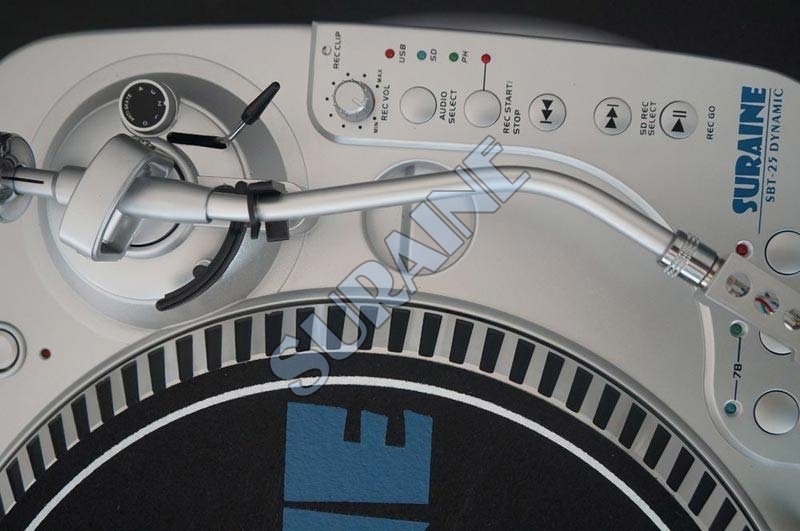 Static balance S matel tone arm with counter weight and anti skating nob. Detachable head shell with Audio Techica high fadality Magnetic cartridge. Inbuilt phono pre Amps for connecting various audio systems supporting AUX/LINE IN. With USB/ SD Slot with recording function. Compactable with WindowsXP, MAC OS 9.1. 1 Year company India warranty. Unit weight – 3.9 Kg. Body color – Top silver and base Black. Power supply- 230 Volts with 2 pin INDIAN power cord. 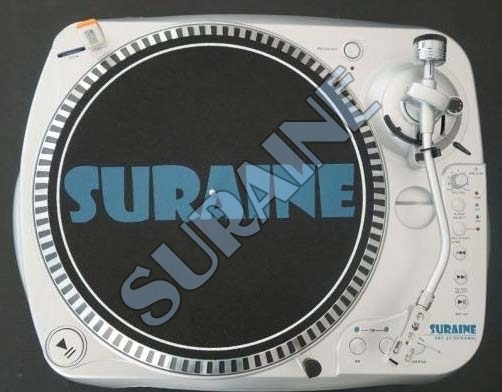 Accessories – USB cord, slip mat, Instruction manual with warranty card. Minimum Order Quantity : For order and to buy contact us. Free delivery any where in INDIA. Before placing order confirm us.